All Origin versions get a free upgrade to The Sims 2 Ultimate Collection (contact EA Support for non-Origin versions). Although it shipped originally with SecuROM, The Sims 2 Ultimate Collection was updated in November 2017 and no longer uses SecuROM. However, it; along with all other digital releases of the game - were already pulled in August 2014. The disc version may not run properly on Windows 10 due to issues with SafeDisc and/or SecuROM. Later expansions use v4 or SecuROM 7 DRM. The Windows version is no longer sold digitally. All Origin versions are automatically upgraded to The Sims 2 Ultimate Collection. Contact the EA Support for retail versions. The Ultimate Collection from Origin no longer has SecuROM DRM. List of all different versions and regions can be found on Wikipedia. In-game camera and game recording settings. Retail versions of the base game, expansions, and the Family Fun Stuff pack require patching after installation. The Sims 2 Ultimate Collection on Origin is already patched. Although the game's patch site has now gone down, many expansion pack patches are available from the PCGamingWiki filespace. Open cheat console with Ctrl+⇧ Shift+C. Ultimate Collection now requires Origin running to play. The text, UI elements and loading screen does not scale with resolution. Use a utility such as GameCompanion together with the windowed hack. Smooth Edges slider; if the setting are greyed out see Anti-aliasing (AA). Can be disabled by Ctrl+⇧ Shift+C and vsync off but may crash the game. Refresh rate options goes up to 100. Windowed mode correctly uses desktop's refresh rate even higher than that. Fixes common issues like graphics settings being disabled or not getting applied on newer GPUs, and black square Sim shadows. Adds widescreen support. Modify the settings under Game Tweaks in order to fix what you want. If you intend on using the Sim Shadow Fix described in the Black Square Shadows section of this article, don't enable Enable Sim Shadows on Graphics Rule Maker or it won't work. If your "Edge Smoothing" slider is greyed out in-game, then it's likely that the game cannot determine how much VRAM your GPU has and is defaulting to its failsafe of 32 MB. Navigate to the configuration file location. and change seti textureMemory to the value of your GPU's VRAM in megabytes. This makes game use your VRAM amount as fallback value. Do not put value higher than actual VRAM amount is! Alt-tabbing may not work properly during the game's loading screens. Voices, sound effects, music and ambience. No intelligible dialog. All in-game dialog uses the fictional Simlish language. The Sims 2 is compatible with newer versions of Windows, however the original release of the game has issues, and will show an error message when loaded. Patching the game or installing the expansion packs will correct this. Download & Install Graphics Rules Maker. In Graphics Rules Maker, set the 'Force texture memory' to 4000 Mb (if your game crashes, try lowering this value). Change 'Default resolution:' and 'Maximum resolution:' to your desired resolution. Add -w to the end of the target path. The game will open windowed, change the resolution in-game to your desired resolution. Use a borderless fullscreen tool to make the game fullscreen. 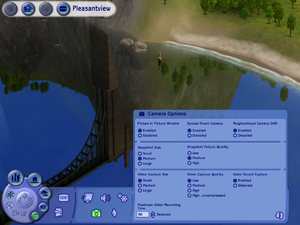 Periodically, a sim may become trapped or a special object may be placed in a bad location, preventing a sim from doing anything. In other cases, a normal object may be improperly tagged as "in use" and cannot be moved, sold, or manipulated. Use this cheat carefully. Some objects like the mail box cannot be replaced once deleted. Type moveobjects on and enter buy mode. Go here and download the file that suits your preferences (0.2 shadows are more opaque, 0.4 more transparent and 0.3 are in between). If you're using an Intel HD Graphics card, the author recommends downloading the xReallyNotMisty versions of the fix. Find the EA GAMES folder and open The Sims 2. Change the Display Name, Deleting the ™ out. 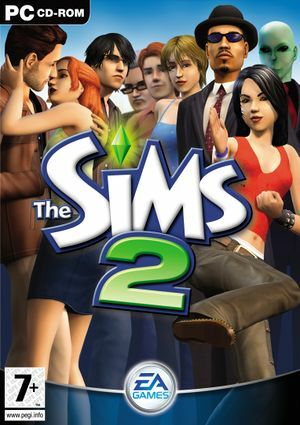 The Sims 2 was made before the release of multi-core CPUs. It may have issues at the startup loading screen on newer CPUs with multiple cores and Hyperthreading. Try following if The Sims 2 does not progress in loading at startup. Open Task Manager, and right-click the game's process. Click "Go to details". Right-click The Sims 2's process under details and click Set Affinity. Untick all CPUs except CPU 0. Setting is not saved and needs to be repeated after startup whenever necessary. With the Ultimate Collection or any installation with many Stuff and Expansion packs, the initial loading screen will always take some time due to the amount of content included. Disabling the touchpad whilst playing The Sims 2, if possible. Using the touchpad to play instead of a mouse. and change true to false. 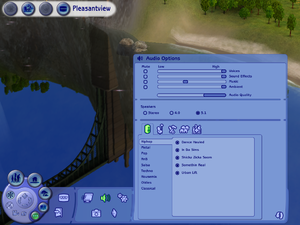 The Sims 2 attracted a large modding community, allowing further customization features. Unfortunately, even properly designed mods could increase the chances of crashes and errors in the game. Mods have a major impact on loading time and stability, and should be used with discretion if you are having issues with the game. These tools created by Maxis and formerly hosted on the games official website. When the Seasons (or Later) Expansion Pack is installed, T&L incompatible graphics chips can be used; however it requires a Minimum CPU speed of 2.4 GHz.